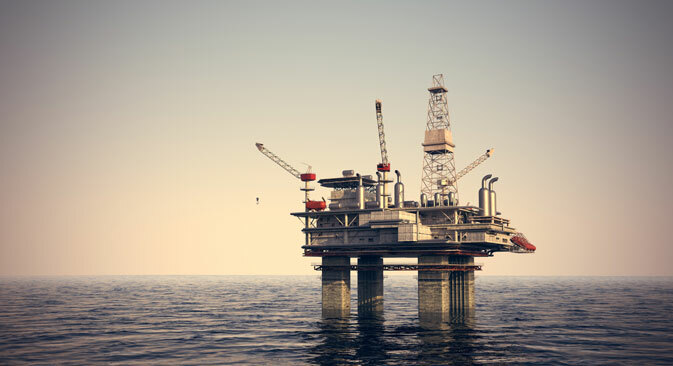 Russian oil giant Rosneft is buying a stake in Norwegian-British company North Atlantic Drilling Ltd, which specializes in deep-water oil production. This means that the Russian company, which falls under sanctions imposed by the United States, will have technology at its disposal to extract offshore hydrocarbons. Rosneft is purchasing a stake in Norwegian-British company North Atlantic Drilling Ltd. (NADL), which specializes in deep-water oil production, Russia’s largest oil company said in an official statement. The parties have agreed that Rosneft will acquire a substantial stake in NADL, which in return will secure access to the onshore drilling market in Russia. To that end, NADL will purchase about 150 surface drilling rigs from Rosneft and sign a five-year contract for their use. In exchange, the Russian company will get approximately 30 percent of NADL’s shares and two of the seven seats on its board of directors. In total, the deal is worth some $1 billion. Rosneft’s press office told RBTH that this transaction will afford the Russian company the fleet of platforms and drilling rigs it needs to explore and produce both onshore and offshore. “Rosneft has been interested in drilling companies for some time because it needs access to their technologies in order to successfully implement its many projects, particularly on the Arctic shelf. And NADL has experience with this type of drilling,” said Ilya Balakirev, chief analyst at UFC IC. According to him, the deal was given the green light before the sanctions were in place, so there were no formal reasons for regulators to block it. “At the same time, it is not entirely clear how exactly the current restrictions will apply to NADL after the deal is closed,” said Balakirev. Even though the company is Norwegian, its headquarters are in London. The U.S. and European Union imposed sanctions against the oil sector at the end of July, restricting exports of equipment for deep-water drilling, production in the Arctic, and shale oil production to Russia. However, because Norway is not part of the EU, the restrictions do not apply to it. The companies agreed back in July that Rosneft will use six of NADL’s marine rigs for its own projects until 2022. In August, the West Alpha rig started drilling at the East Prinovozemelsky-1 license area, which is in the Kara Sea in the Russian Arctic, as part of a joint Rosneft-ExxonMobil project. NADL, with capitalization of $2.4 billion, is a drilling company that specializes in working in harsh climates. Norwegian company Seadrill owns 70.4 percent of NADL, and the rest of its shares are in free float.